The New York Times has received an account of the death of Prince George of Cumberland from the Daily Mail's Berlin correspondent. The report was sent to the New York Times by Marconi Transatlantic wireless telegraph. 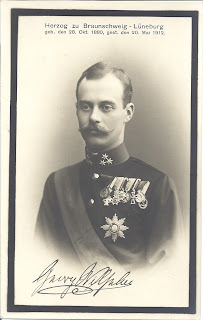 Prince George of Cumberland, eldest son of the Duke and Duchess of Cumberland, was killed yesterday in an automobile accident near the village of Nackel, in Brandenburg, about 50 miles from Berlin. The young prince was en route to Copenhagen to attend the funeral of his uncle, King Frederik VIII. The Prince's elderly valet, Grewe, was also killed, while the chauffeur, Fricke, has "suffered grave injuries." The Duke and Duchess of Cumberland were also en route to Denmark from their home in Gmunden, Austria. They were informed of their son's death at 2 a.m., at their hotel in Dresden. They have "abandoned all plans" to travel to Denmark. 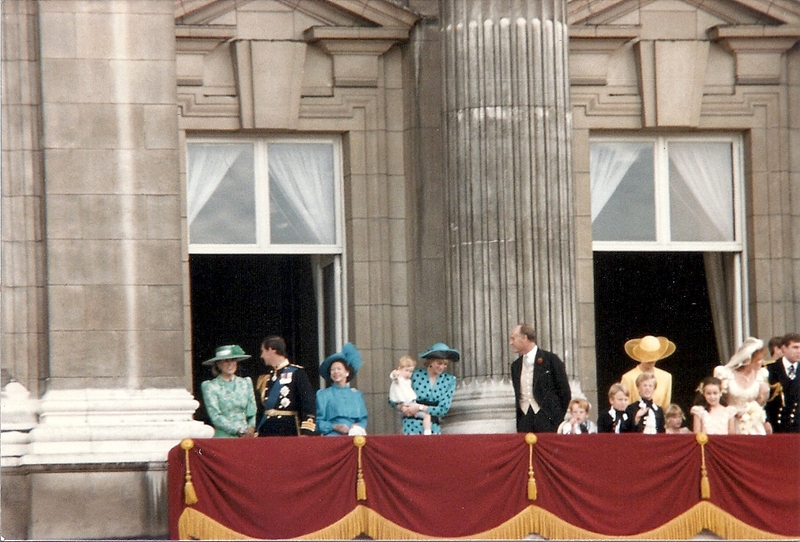 The Duchess is the youngest sister of the late king. Prince George was driving his car when the accident occurred. Yesterday morning, he had left Prague for Copenhagen. The area around Nackel is hilly, and the Prince was "traveling at sixty miles an hour," as he wanted to reach Schwerin "before nightfall," and then travel onto Copenhagen today. He "failed to observe" a stretch of road that had been "freshly remetaled and left unrolled." Before he was able to apply the brakes, the "car skidded, dashed against a heap of loose stones, skidded again," and then hurled into several oak trees. Prince George was killed instantly. He suffered a fractured skull, a broken nose, "his right eye was knocked out," and a half dozen ribs were broken "by the "crushing of his body against the steering well." He was injured so seriously that his "countenance was almost unrecognizable." A local forester discovered the accident. The chauffeur, although badly injured, has been able to give an account of the accident. The bodies of the prince and his valet were brought to Nackel, where the "villagers stood watch over the remains throughout the night." German newspapers are asserting that the death of Prince George will end the "Guelph claims to the kingdom of Hanover." The prince's younger brother, Prince Ernst August, an officer in the Bavarian cavalry, will succeed as Duke of Brunswick "on the demise of his father." It is understood that Prince Ernst August does not "share in the compromising views of his father with reference to the throne of Hanover." 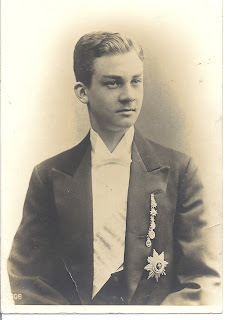 Prince Georg Wilhelm Christian Albert Eduard Alexander Friedrich Valdemar Ernst Adolf of Hanover, Prince of Cumberland, was born on October 28, 1880 at Gmunden. He was 31 years old when he died.